Dengue fever (DF) is an emerging arborviral disease caused by infection with dengue virus (DENV) which has emerged as the most important vector-borne viral disease in tropical areas and it continues to expand geographically. The four serotypes of DENV that cause human disease are transmitted by Aedes mosquitoes. Expansion in geographic distribution of both viruses and mosquito vectors, has led to a current global dengue pandemic. Dengue disease has a wide spectrum of expression: from asymptomatic infection or an influenza-like syndrome to severe disease including dengue hemorrhagic fever (DHF)/ dengue shock syndrome (DSS). 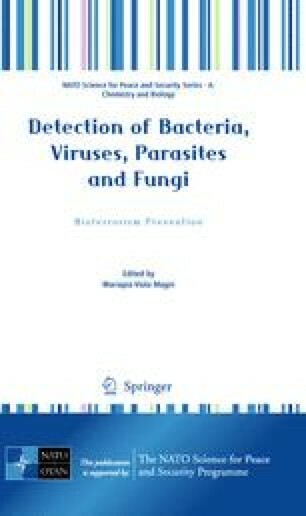 Dengue infection diagnosis has come a long way and today, new techniques for detecting the virus and anti- DENV antibody are available. In spite of that there are still problems with those methods and a reliable diagnosis remains a crucial step towards the control of DENV disease in human populations. In this review, different diagnostic methods are described, including routinely used methods, newly developed techniques and commercially available kits. One of the limitations of current diagnostic tools for DENV is the lack of specificity and safety of the ­antigen employed as part of the available diagnostic tools. Thus there is a constant serological effort to develop alternative antigens that will help to improve the detection of anti-dengue antibodies and allow working with non hazardous materials. Several options to deal with this problem is discussed here.